Hi, my name is CPT Todd Sexton and I am currently deployed to Afghanistan. I have been married to my beautiful wife, Amanda for 9 years and we have two kids together. My son Cole who is 7 and daughter Emma who turns 3 in two weeks. I have served in the Army for a total of 15 years now and this is my fourth combat deployment. Two to Iraq and two to Afghanistan. I have missed numerous anniversaries, birthdays, and holidays with my family. I was also deployed during the birth of my son. 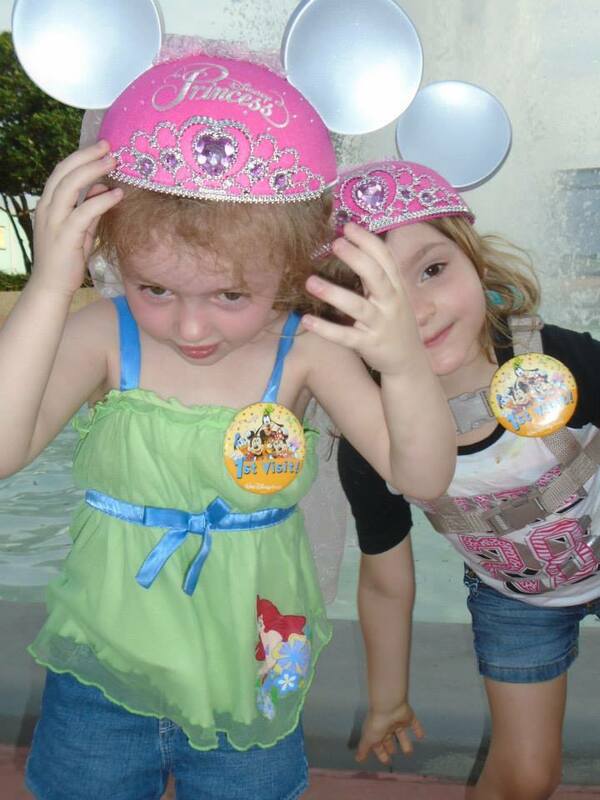 I would love nothing more than to be able to come home and take both of my children to Disney World to celebrate. I will get home just prior to my sons birthday and it would be great to see those kids faces when I could tell them "we're going to Disney World". My daughter is in that phase right now where she loves princesses and my son loves Star Wars and he really wants to see the Star Wars section at the park. It would be truly special to me to be able to take my wife there for all of the hard work that she has put in over the last three deployments. My son is an exceptional family member due to autism and she has a full time job trying to take care of him, get to all of his therapies, and wrangle my daughter all at the same time. She never complains and "always" puts myself and the kids first. For once I would love to surprise her and take her on vacation so she can relax a little and have a good time. I am requesting six tickets so that my mother and father-in-law can go with us in case my son has any issues while at the parks. Sometimes he has a hard time with crowds but if we have additional help then he and my daughter should be able to get the full Disney experience. Disney does such a great job with kids that have special needs and that is why I am choosing Disney. Thanks for your support and God Bless America!! My name is Capt. Brandi Burrowes. 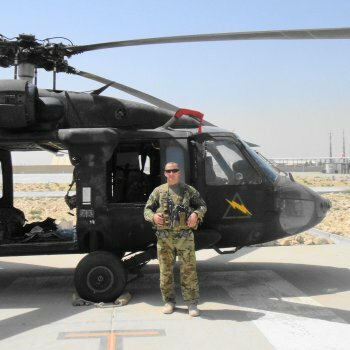 I am currentlydeployed in Afghanistan as a Flight Nurse with one of the best DUSTOFF units in the Army #TeamArchangels. I am also a single mother of 3 beautiful children 17, 15, and 12. After being gone for almost a year all I dream of is spending quality time with my children. I can think of no better place to accomplish this then at Disney in Orlando. As I have missed most of my oldest sons junior year, I want him to have a special memory to take in to his senior year and off to college. My prayer is to take this trip in September which is my youngest sons birthday. This was one of the most awesome experiences of my life. To be able to return home after a long ten months in Afghanistan and see the looks on their faces was amazing. We were able to share some much needed family time, as I am a single mom and they were in the care of my mother during my absence. I am at a loss for words to cover my gratitude to those who assisted in making this wish/dream come true. I truly do not know if we would have been able to have the same experience during this vacation if it were not for those donors who came to our aid/assistance. Thank you from the bottom of my heart. Hello my name is Jaime De La Paz and I am a medically retired SSG from injuries sustained during my final deployment to Afghanistan. 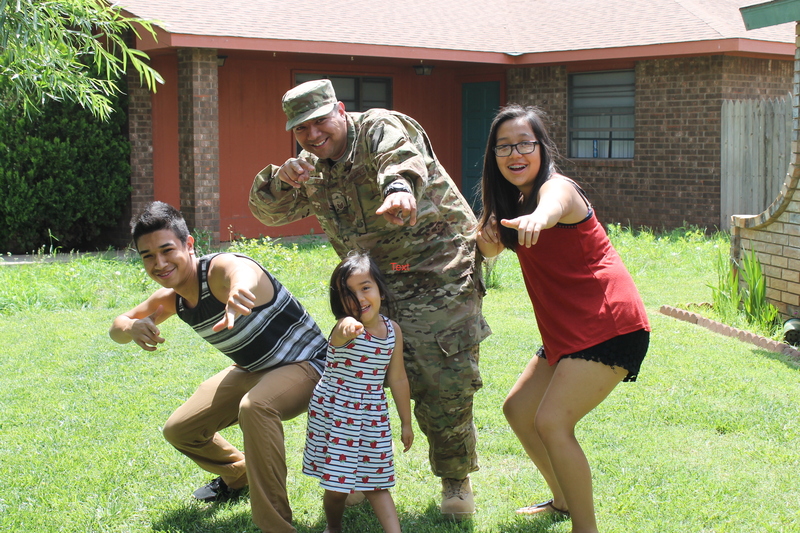 My time in the military has been amazing regardless of some barriers my family and I had to overcome. I have multiple deployments to Iraq and Afghanistan and no matter how hard some of those deployments where I wouldn't change anything because they have molded me into the person I am today. I am married to the most wonderful women that has stuck by me throughout this entire roller coaster of my career. She has been my motivation that keeps me going day to day. She is now my care taker and I have never see her complain one bit regardless of my needs from my injuries She put her needs aside to help take care of me. We have 5 wonderful and beautiful kids Alexis(11), Mia (10), Joseph (9), Mya (8) and the baby Jade(2). My family is super close but once football season comes around it makes us even closer. Even though my household is dominated with pink and barbies, come Sunday during football season, you will find my entire family glued to the TV watching the New England Patriots. We have never been to an actual football game and I would love to be able to take my family to one, especially to watch our team the Patriots play. Thank You from me and my family! 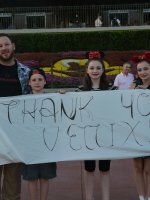 First of all I want to say thank you to Vettix for all the help they have provided me during this process of granting my wish. 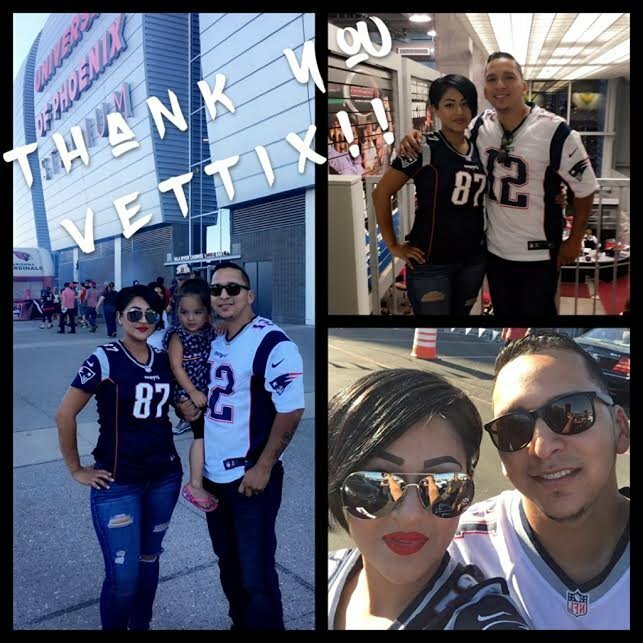 Vettix you have made this one of the best experiences any one could have ever asked for, and I thank you not only for granting my wish in attending this game but thank you for everything you do in helping out the military and their families. Your organization helps us remember that we are not forgotten and that our sacrifices are seen by the very people we vow to protect. Ryan I also want to say thank you to you so much for your donation. You could have spent that money on anything and it means the world to me that you decided to help me on making my wish come true from my entire family a big thank you. To who I got to know as Mr. Alfred I don't think I could write enough words to express how thankful I am for your donation. The entire experience seemed so surreal that even now I can't believe that I was able to experience the game the way I did. My wife and I can honestly say we where holding back tears when we first got to meet you and see what a wonderful experience you had set up for us. First class experience all the way and even though you had on the wrong jersey I couldn't have asked for anything more. I will forever hold you in my thoughts and prayers and always think about the wonderful gift you gave me and my family. Everything was amazing from the seats to getting to know everyone with us I can not say thank you enough. Like I mentioned in my wish I was medically retired and I would do anything to go back and experience the brotherhood that I did in the Army all over again, but just like my soldiers I will now and forever see you as a brother. Mr. Alfred thank you so much and I can only hope that I can someday repay you for this amazing gift. Thank You to all of you and to anyone that has been part of this amazing dream! 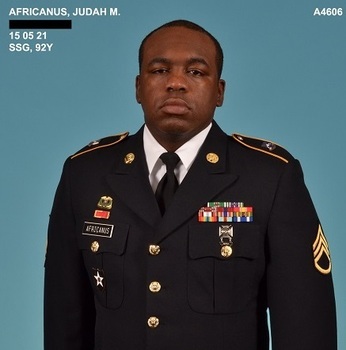 My name is SSG(P) Judah Africanus. 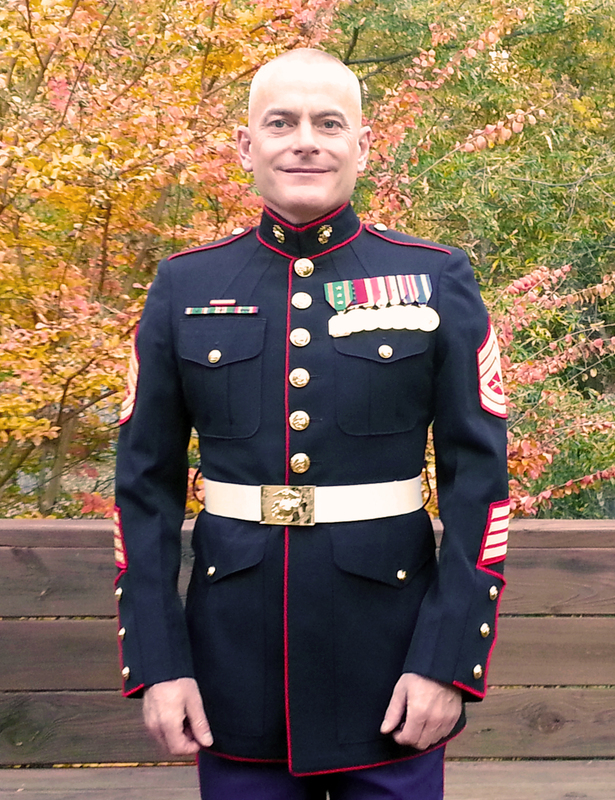 I joined the United States Marine Corps at the age of 17 to support my then 2 year old son. At 18 I married my high school sweet heart and mother of my son. We have 4 children total 2 boys 2 girls(Lamar 19, Kiwan 14, Mackenzie 13, and Kayla 12). After 4 years in the Marines I decided to get out and try civilian life. After a while I started to miss the military so I joined the NC Army National Guard. However that did not satisfy me. So I went Active Duty Army. My eldest son and I are huge fans of the Panthers, and would love to opportunity to see them take on the Denver Broncos for some Thursday night football on 8 September 16. This game will be extra special because I will get to see it with my son before he goes off to college. I would like to really take the a minute to send a sincere thank you to the individuals who donated to my hero's wish. 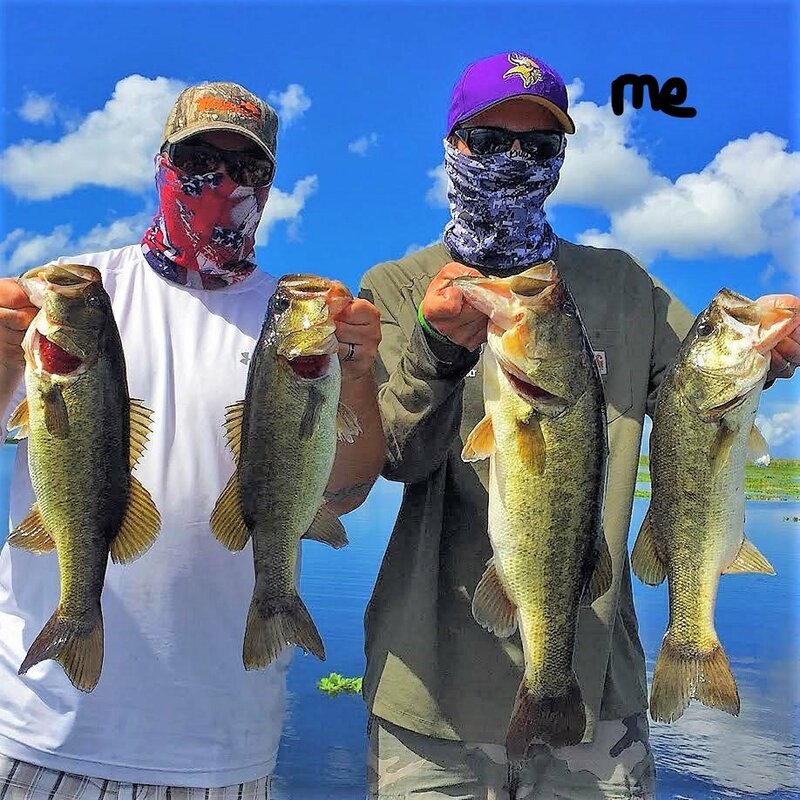 Me and my son had a great time and couldn't have asked for a better time. 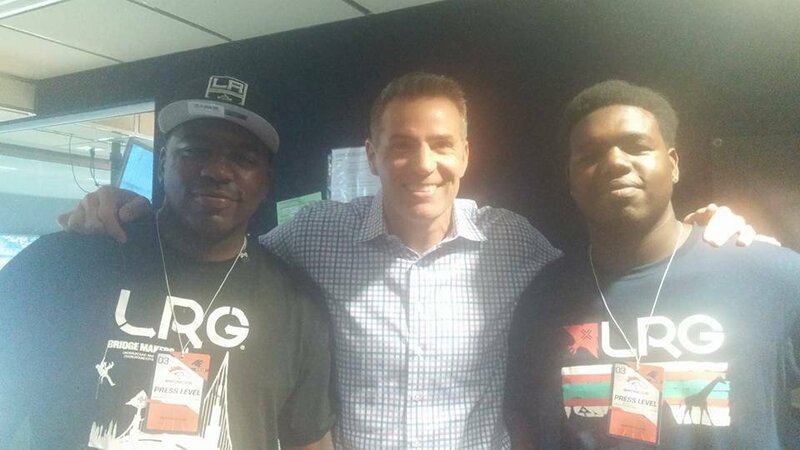 Meeting Kurt Warner and seeing the look on my sons face was priceless. 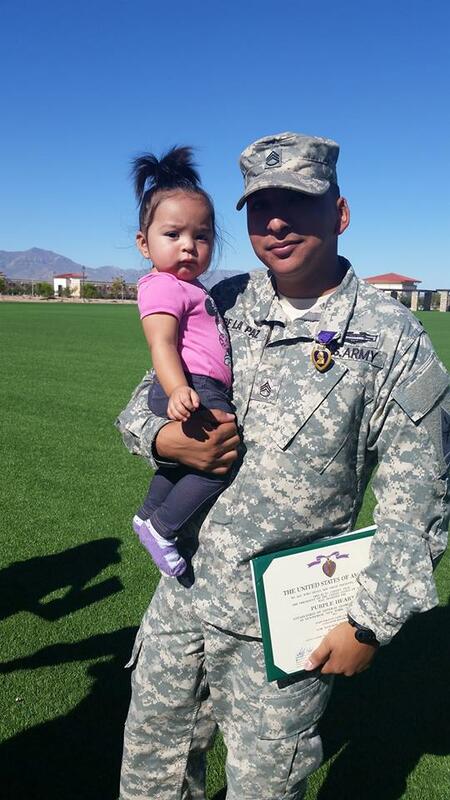 My name is SSgt Matthew Peluyera. I am currently serving in the USAF and on my first deployment. 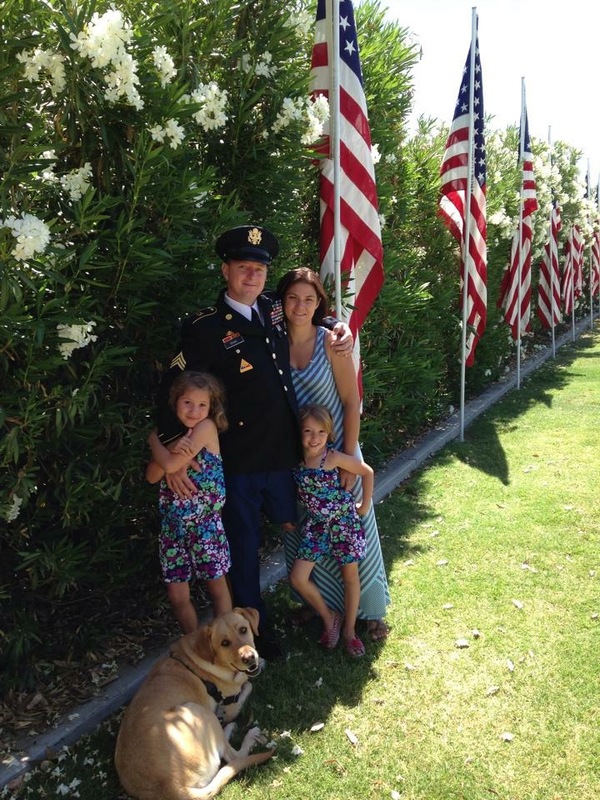 While I have been serving my country for the past year my wife is serving our family which consists of our two and a half year old daughter and our two large dogs. 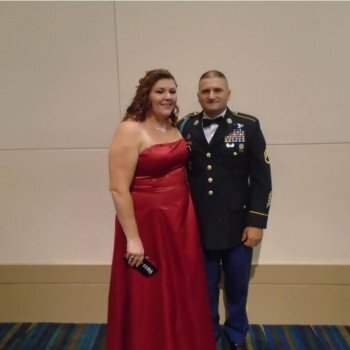 My wife has dealt with potty training, dogs going through surgery and recovery, working from home, working outside of the home, taking care of our house, helping a toddler through deployment, volunteering at church, toddler tantrums, holidays and family gatherings alone and all while going through her first deployment as well. My wife works tirelessly to make sure that our family is taken care of and most days without a break or help of any kind. I want more than anything to be able to give my wife a break. A break from dishes and laundry and taking care of everyone but herself. She loves Disney, as does my daughter and has always wanted to stay at the Fort Wilderness Lodge. 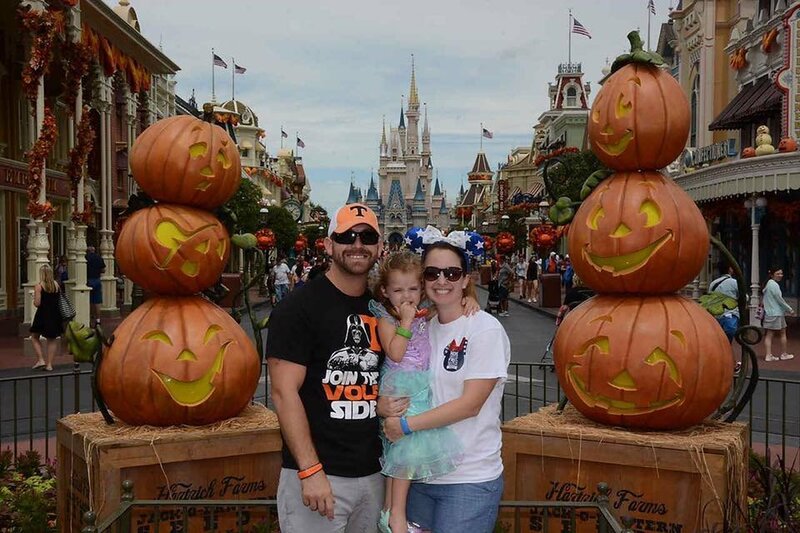 Being able to take my wife and daughter on a four night trip to stay at the Fort Wilderness Lodge would not only allow my wife time to relax and unwind but also allow our family time to bond and grow closer without the distractions of everyday life. Over the last year I have been in Training or Deployed for both Mother's Day and my wife's birthday - the two times of year that I would normally get to spoil her. This trip would help me to show her how much she means to me and how much I appreciate her supporting me so that I can serve our country. Thank you so much to everyone who donated towards our wish. 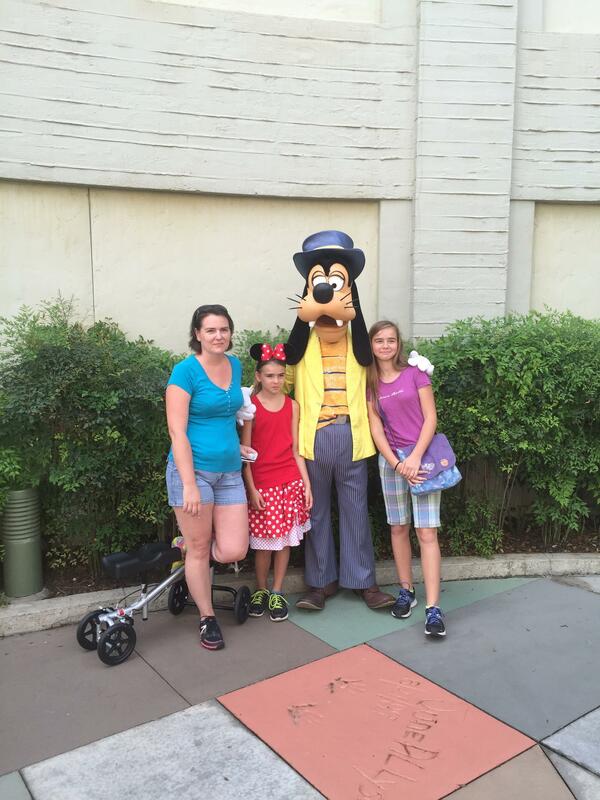 I was able to take my wife and daughter on a Disney vacation. We had so much fun meeting characters, riding rides and enjoying the delicious snacks. 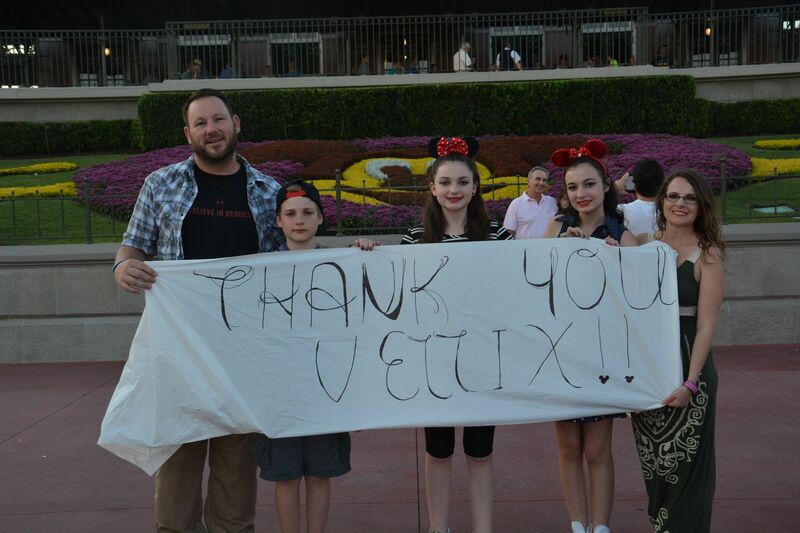 I'm so grateful to Vettix and all of the donors who helped me to give such an awesome gift to my family. 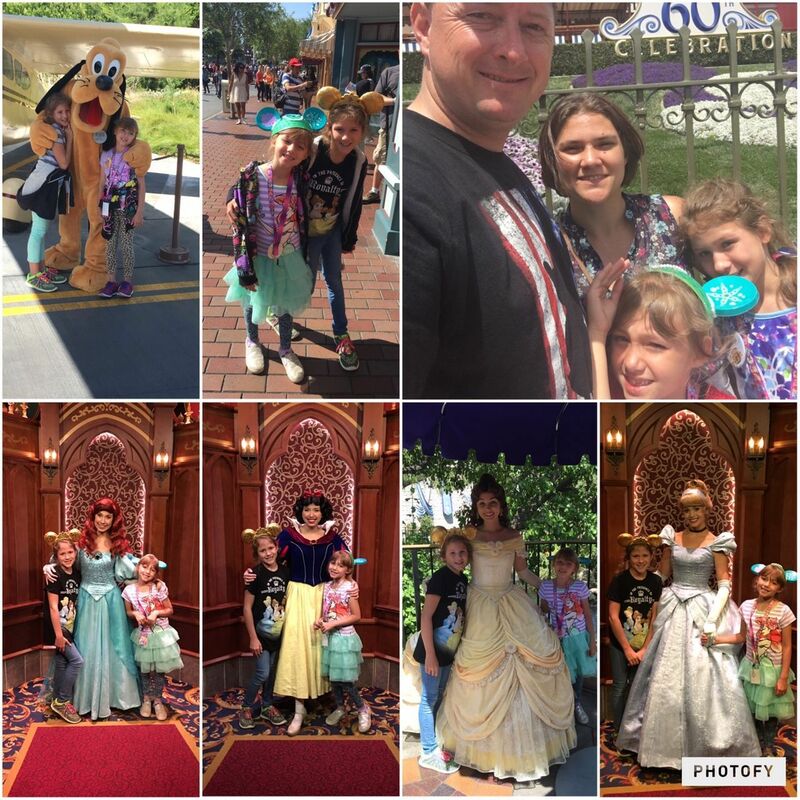 After being away for so long it was wonderful to be able to have fun with my family and to watch my daughter make so many memories! My name is Sgt. Jesus Vasquez Jr but I am better known as "Chuya". I served with 2nd Force Recon BN. which became Marine Special Operations Command (MARSOC). I deployed with the 26th MEU in 2003 to Iraq and then again in 2005. I also became a jump master. In 2006 my life came to a halt when I had a hard landing while doing a parachute free fall training exercise. My leg was fractured and they had to install a plate and several screws. I got a staph infection from the hospital and ended up with osteomyelitis, a bone infection. 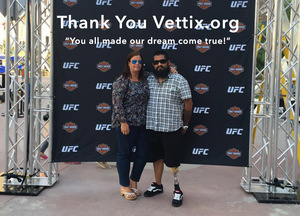 After over 20 limb salvage surgeries my doctors recommended that they would have to amputate the leg due to severe infection and loss of blood flow to the leg. On October 1, 2010 they amputated my leg. The Center for the Intrepid in San Antonio worked hard to get me into a leg. 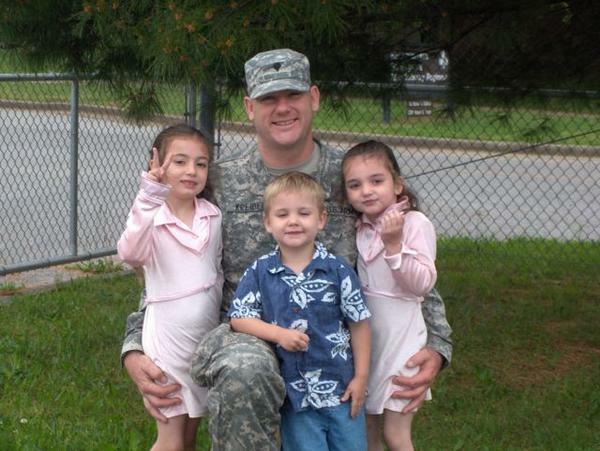 Seven months later I was able to return back home to my wife and kids. During all this time my wife sacrificed and stayed by my side to see me through my recovery and still does to this day. She has been my nurse, my best friend and without her I do not know where I may have been through all my health and emotional problems. I was medically retired in February of 2012 after my medical conditions forced me to give up my passion, serving. 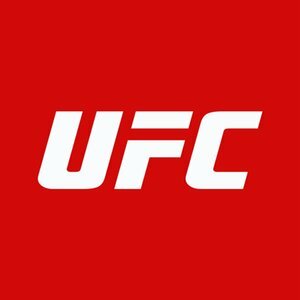 I would love to go see an MMA fight in Las Vegas. This is not only about the fight but a chance for me to take my wife who also serves as my caregiver to do something special. We have four kids ages 14,12,7 and 2 and she deserves a well needed break. She loves Las Vegas and watching UFC with me, and this would mean so much to her. I also have a sister there who I have only been able to see a couple times and could visit with her. 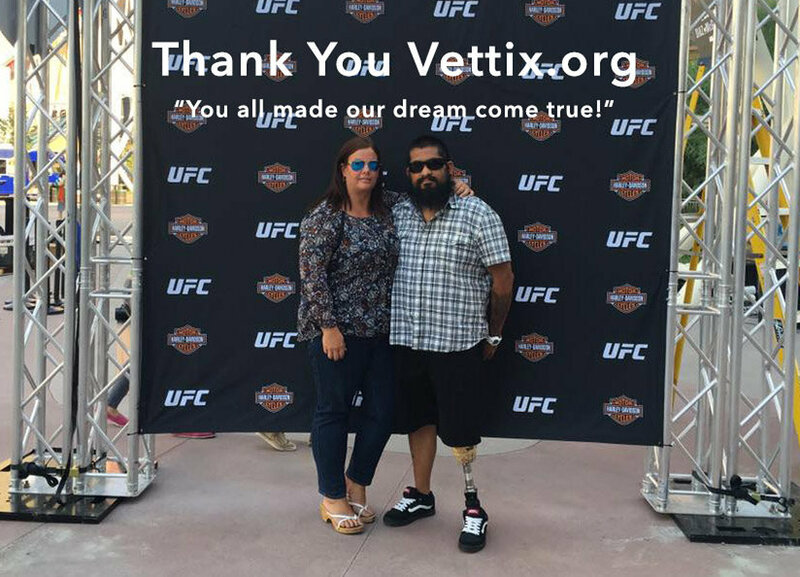 I can not express how much gratitude I have for Vet Tix and the kind donors who made our dream come true to see the UFC. It was an amazing night and such a great experience. There is no way that we could have done it on our own and you guys made it possible. For the first time in a long time we were able to enjoy life again without thinking of doctor appointments and medical problems. THANK YOU FROM THE BOTTOM OF OUR HEARTS!!!! 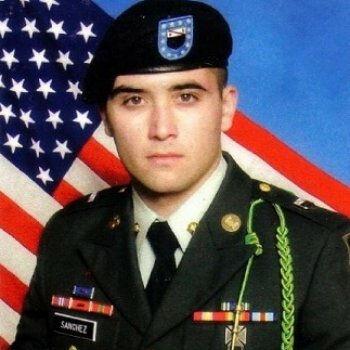 My name is specialist Christopher Brunelle I am a Iraq war Purple Heart Vet. I have let the PTSD get the best of me. I was injured in 2005 when a suicide bomber attacked my hummer and blew us up. My gunner was killed in the explosion. I was to proud to let anyone help me or take help from anyone. I tried to do it on my own. I just about let the PTSD get the best of me. It cost me my marriage but I'm ok with that part now. I was at a very dark place in life didn't want to be here anymore. One day I was thinking what to do and how to do it, when one of my little girls came out and said daddy just want to say I love you. I still deal with the nightmares and flashbacks but I'm use to that now. My wish is to attend the night race at Bristol Motor Speedway. I am asking for 3 hot passes and race tickets for that day because I don't drive that far anymore. For the longest time I have been unable to get out and go places, with the help of some good friends and brothers I am able to now. I had a great time at the race although it was postponed and we could not stay and watch the ending of the race we had a great time. We met some great people. We met some of the drivers a few owners saw a great concert by Craig Morgan and a all around great time. Even got a laugh out of Richard Childress. He walked by I was standing there just got done drinking a Ole Mokey Mountain Moonshine drink and still had the jar in my hand. He was standing there signing things and looked at me so I handed him the jar he asked me are you serious I said yep! He laughed and signed it! It was a great time! 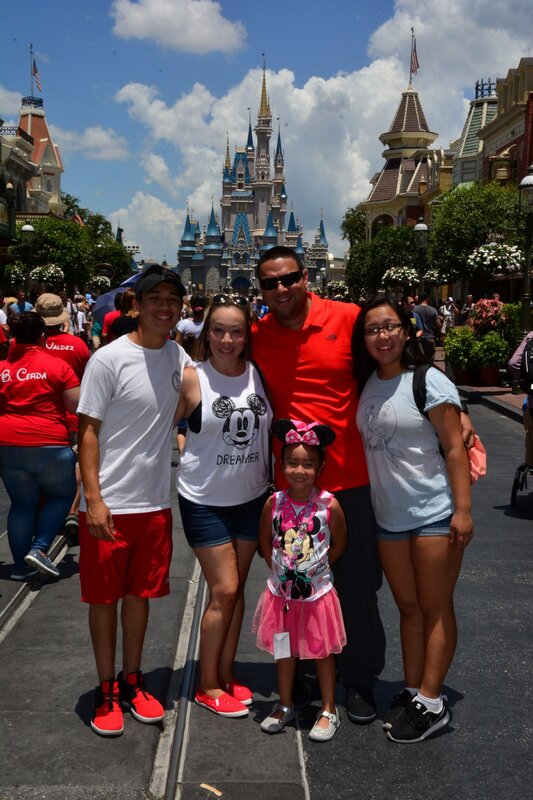 My name is TSgt Luis F Mejia and last summer my family Alex (wife), Anthony (17), Valerie(14), and Natalie (4) were set to take a trip to Disney World. Instead I ended up deploying to Africa and Afghanistan, so we had to put our trip on hold. 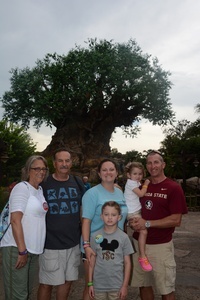 This trip was special for two reasons, first it would be our last family vacation before my son goes off to college and second it would be the first time my youngest daughter visits Disney World. I am humbly requesting 5 park hopper tickets for Disney world so we can share this vacation together. 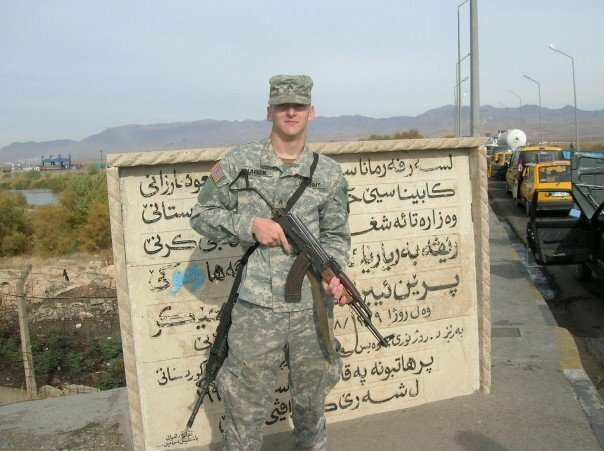 I have been in the military 17 years and would not trade the experience for anything. Thank you for all you do for our veterans! I would like to personally thank Richard,Theresa and Veteran Tickets Foundation general Hero's Wish Fund on behalf of my family. It was a great experience which would not have been possible without your generosity. It was the perfect vacation to transition from my son leaving to college, my middle daughter starting high school and my youngest daughter starting kindergarten. This will be a moment in time my entire family will look back on and reflect as our lives go in different directions. Thank you all from the bottom of our hearts. My Dads name is Sgt. Ian Thomas Sanchez. 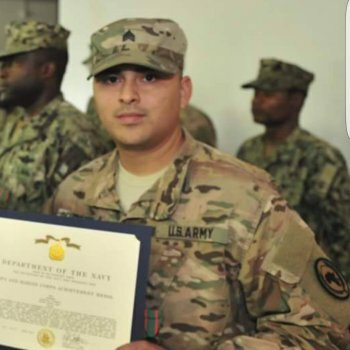 He died when his M Gator utility vehicle hit an IED during a security sweep. My name is Jesse and In 2011 I was diagnosed with my first brain tumor. I had to spend a very lonely two months in the hospital and a few years of rehab. Having an acquired brain injury changed my life in every aspect. My Mom who is chronically very sick could not stay with me and my Dad was KIA. I had a nice roommate, but felt sad I didn't have my Mother to stay with me. I used to Listen to Justin Beibers Song " Pray." It is what got me through that nightmare. Although I have another brain tumor, the prognosis is better than the first kind I had. Every day is a struggle with my health. Due to a lot of medical expenses, I can't afford to see Justin Bieber on his tour. I would love to take a friend with me and my Step Dad (my Mom would never let me go alone). To all the donors who made this wish possible, I thank you from the bottom of my heart. Your generosity does not go unnoticed and unappreciated. I, my Aunt and my friend has a wonderful time at the Justin Beiber Concert and without all you generous people, I would not have been able to go. 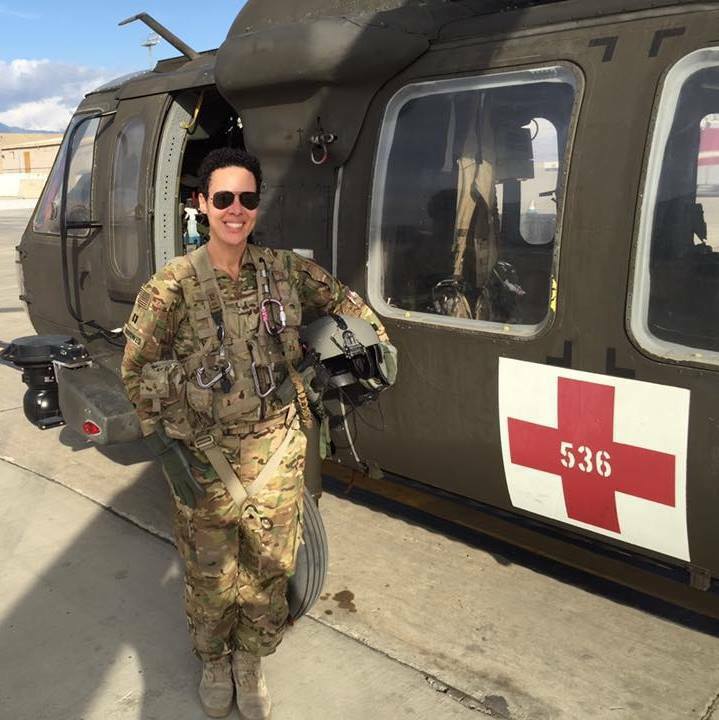 My name is SSG Smilowska, I have been on active duty for 18 years and served multiple combat deployments to Iraq and Afghanistan. Since than I have returned home and married my wife and had four beautiful children Charlotte (5), Savanna (4), Jameson (2), and Abigail (1). I have been married to my wife for six years and she is the glue that keeps this family together. I went through the medical evaluation process and was determined that I could remain in service with limited capabilities. I am hoping to retire at 23 years and spend as much time with the family as possible. I have never been to Disney World and neither has my wife. I would love to take my kids and my wife together so we can all experience it together for the first time and see the priceless looks on the kids faces when they meet Aerial or Elsa. Thank You Vet Tickets for trying to make this wish come true. Even if we do not get this wish We truly enjoy the site and will continue to support for a long time to come. Having a great time at Disney, Kids love it and already have said they do not want to leave. So much to do and so little time it feels like we will never get to do everything and will most certainly have to come back. 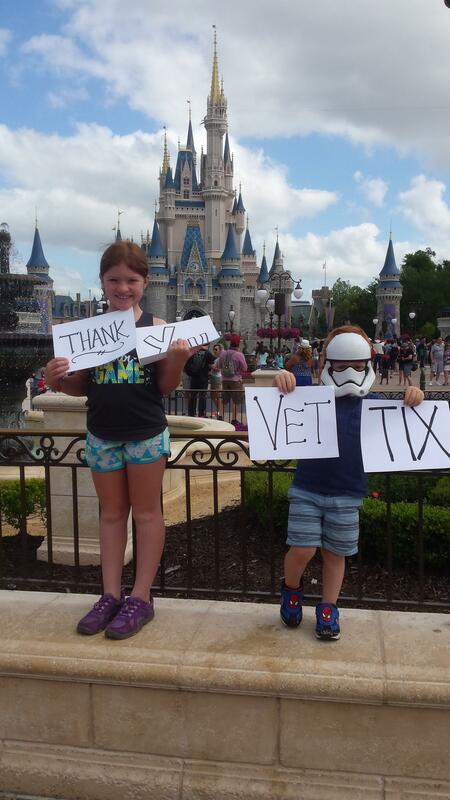 Thank you Vet Tickets and My Hero's Wish Disney World Vacation and all the Donors who made this trip possible. I never seen kids with bigger smiles than they have right now. This is truly a magical place. I don't know who is having more fun though me or the kids. Still have two more days left and lots to do. 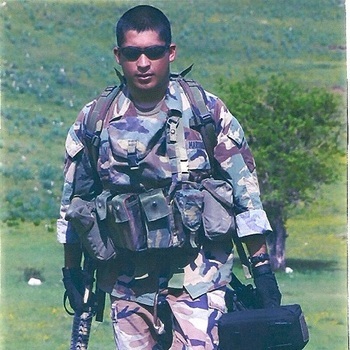 My name is SGT Francisco Cisneros and have honorable served active duty in the United States Army for 7 years. I am married to the most amazing woman in my life and have two amazing sons (2 & 4yrs). I am currently deployed in East Africa and was previously stationed in Germany the previous 18 months. Throughout the entire time abroad, I have been away from my wife and kids. My 4 year old son suffers from severe asthma, food allergies and eczema. Due to the winters in Germany (which is what severely triggers his asthma and eczema) and the care he was receiving back home, we elected to not to risk his health and keep my family in the states. With me being away, my wife had nobody to share the responsibility of raising two boys by herself, especially one as fragile as my 4 year old. Multiple emergency room visits, being flown to other hospitals and constant late night cares have really taken a toll on her. She does so much and has sacrificed her health for our kids, and I can't do anything but wish I could be there to take the responsibility from her. This wish is not so much for a service member, but for a military spouse since they endure they're own hardships as us deployed. My wish would be to take my entire family to Six Flags once I get back to the states. My wife has always been a huge fan of such and my kids have yet to see an amusement Park. My younger son has always been a very healthy, and my four year old is doing A LOT better now! I truly do appreciate the chance to do something extremely special for my wife and boys, and thank my wife for the mother she is. Thank you for the support. I am an Iraq and Afghanistan veteran. I was injured during my last deployment while clearing a Taliban training camp. 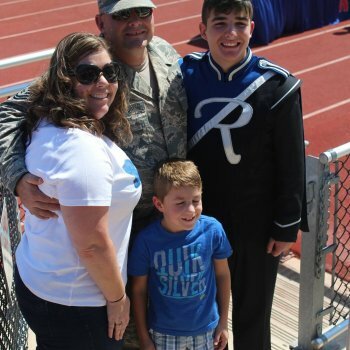 My wife and 3 kids have been through a lot with their dad being deployed and watching me struggle with a traumatic brain injury and PTSD. When I got home, I tried to move on with my life but couldn't. 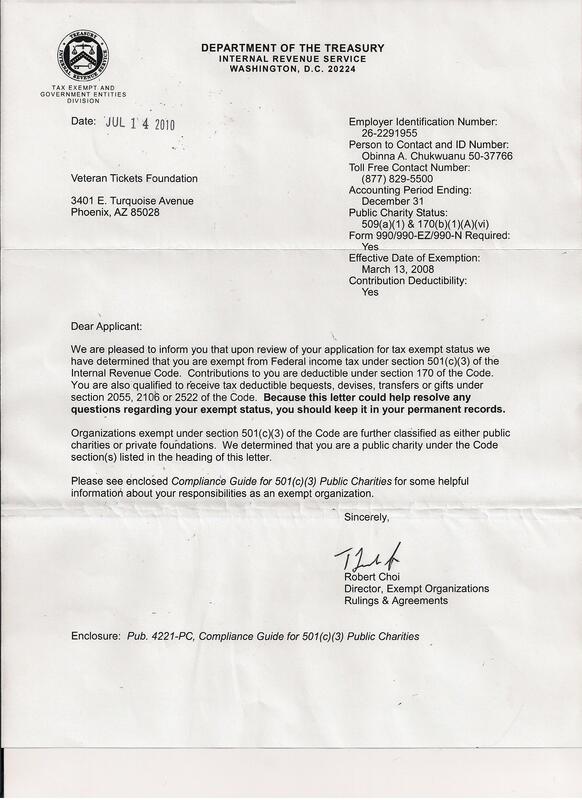 I quit my job as a paramedic at Vanderbilt University in the Emergency Room, lost my Paramedic License because I was unable to remember drug dosages and other critical things in medicine. I ended up in inpatient at the VA. There I admitted for the first time I needed help in 2013. It was the worst day of my life, but also the best as I began to get help. 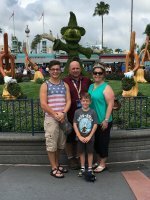 Now I would be able to go with my family to Disney World as before PTSD kept me from being around people and was ruining my life. I would love to give back to my family for what they have given me in allowing me to serve my country as a Combat Medic in the U.S. Army. I desire to bless my family as they have supported me through this tough time. 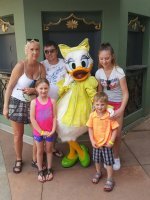 Disney World in Orlando Florida for the 5 of us for 4 days is my wish. For Jaden 13, Natesa 12, and Kole 11, along with my wife and I to hang out together in Disney World would be a dream for all of us. I can't tell you how much my family and I appreciated this time we had together at Disney World. It is so encouraging to know there are people out there but still love this country and are willing to support the troops. We are so blessed for each one of you but donated. That was so much family time we needed as a family and one of the best vacations we ever had. God Bless Andrew donated $25.00 Charles donated $25.00 Daniel donated $125.00 jenn donated $50.00 US Army (RET) donated $20.00 Sarah donated $10.00 DAVID donated $20.00 Tracey donated $75.00 James donated $25.00 Bryan donated $125.00 Richard donated $100.00 MAJ Mary donated $50.00 Holly donated $100.00 Ryan donated $20.00 Andrew donated $50.00 Abe donated $30.00 Edward donated $50.00 Ethan donated $25.00 Ryan donated $20.00 Daniel donated $50.00 Jenny donated $50.00 And the Veteran Tickets Foundation general Hero's Wish Fund. My name is Travis, I did 4 years in the United States Marine Corps. I served from 2002 through 2006 as an infantryman. 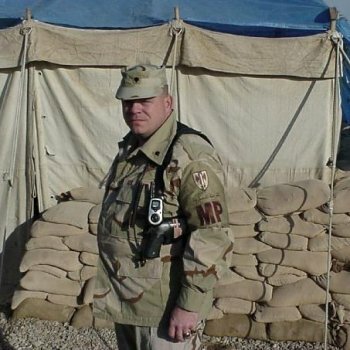 I was part of the initial invasion in Iraq in 2003, in 2004 I deployed to Africa and in 2005 I went back to Iraq. On mothers day in 2005 I was wounded by an RPG and a gun shot during Operation Matador while clearing houses along the Syrian border. In the Picture is part of my fire team. 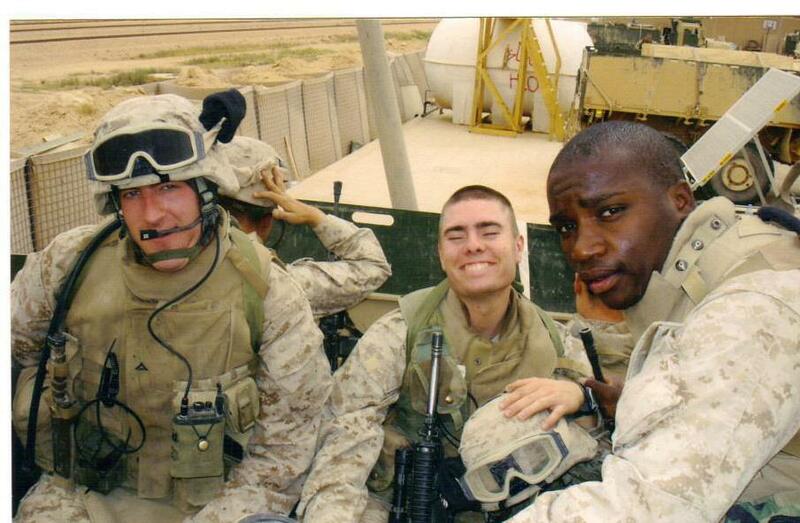 From the left is my Lcpl Lawrence Philippon (k.i.a May,8 2005) Myself (w.i.a May,8 2005) Lcpl Emanuel Nelson (w.i.a May 8, 2005). I would like to surprise my wife and kids to a vacation to Disney World. They are my biggest support system and are well deserving. I would like 4 four day park hopper tickets to Disney World. 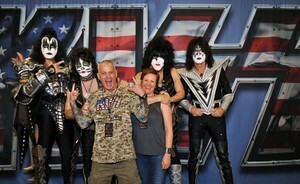 Thank you Vet Tix and all of the donors who made this once in a lifetime opportunity possible. My family will remember this for a lifetime. God Bless you All. 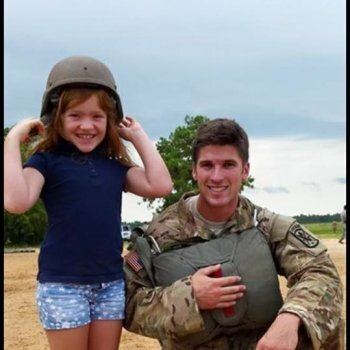 My name is Msgt Johnathon Johnson and this year I deployed two weeks before my oldest son turned 15 and returned after my youngest turned 8. I would like to take them to Walt Disney World to Celebrate with a park hopper. For most of my career I have been away for my wife's birthday however this year I was home for hers and missed our sons. I would like to make up the time missed by celebrating at Walt Disney World. They have been troopers, enduring two deployments during an 18 month period plus the typical stateside TDY's. I love my family and cherish the time I get to spend with them. I can't think of a better way to celebrate not only my return but also the moments we missed during my deployment. My son turns 16 in April and this would be a great way to celebrate! Thank you to Foxfire Events and donors that made our vacation possible! 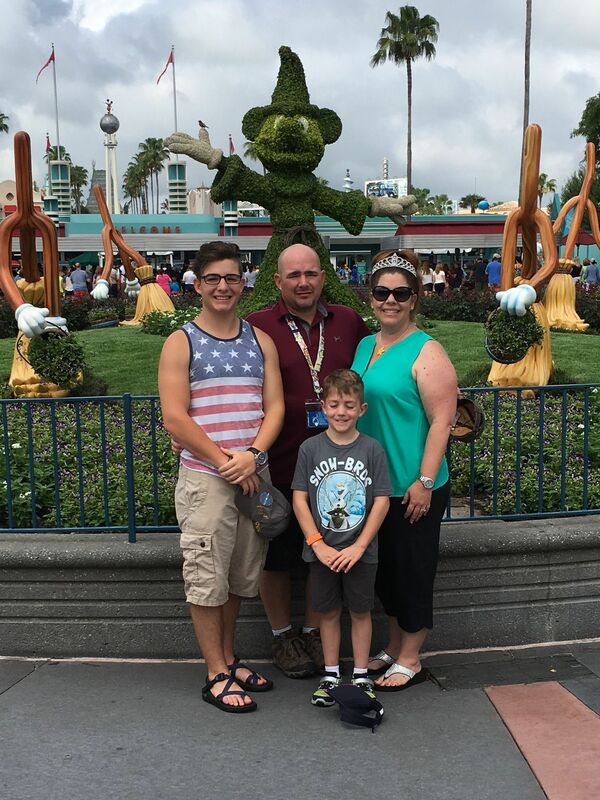 Our family had a great time at Walt Disney World. It was fun to celebrate this missed birthdays this way. We cannot express in a simple message the gratitude our family has for you making our wish come true!! My name is ETC Christopher Green. I am married with 4 wonderful children, two boys ages 19 and 17, and two girls ages 13 and 10. 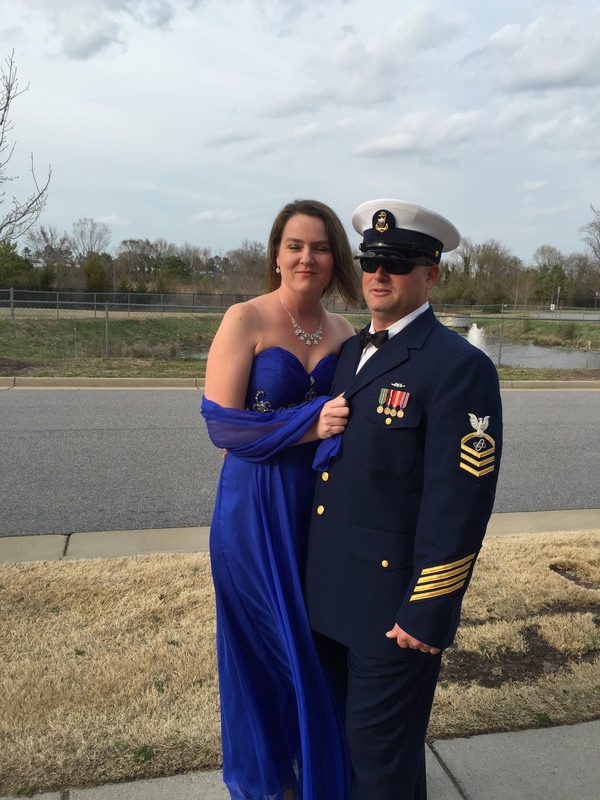 I have spent the last 16 years of my Coast Guard career missing several birthdays, holidays, and other special days through-out the life of my children. The last three years have been the most difficult due to being stationed on a cutter and completed 9 deployments, keeping me away from my family for 18 months out of those three years. We recently had to rescue my oldest son from an unfortunate event which left him homeless and is now living with us again. I have always put my kids first whenever it came to our family's finances and therefore I have never taken them anywhere but to see other family, which was usually in conjunction with transfers. I am now stationed in Florida where I get to spend plenty of time with my family again, but still dream of getting to take them on a vacation. 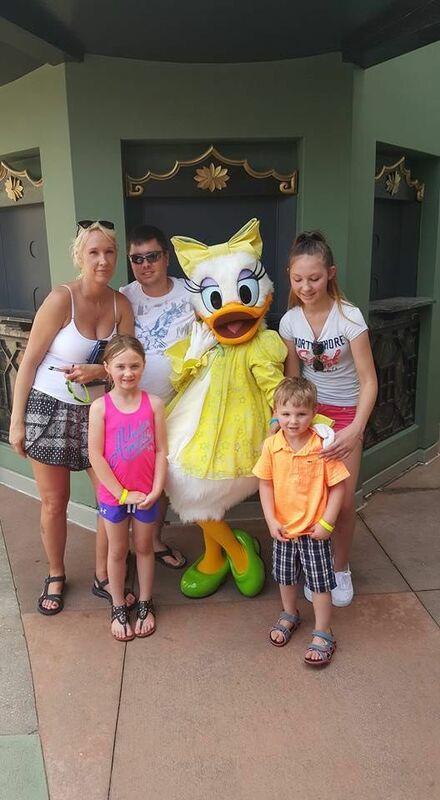 Being close to Orlando at this point, I would love to be able to take them to Disney World, especially before my oldest gets back on his feet and decides to move out again, but the combination cost of tickets, hotel, and food, especially for a family of 6, is still extremely high. Thank you Vet Tix for providing opportunities to our service members and all those who donate to help fulfill these requests. Thank you for making this wish come true for my family. We had an amazing time at Disney World, even with my wife breaking her leg just before going. I can't tell you how much this has meant to us to be able to do. 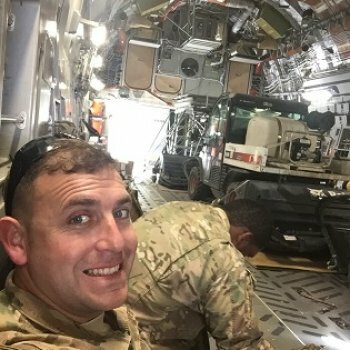 My name is CPT Nathan Lubba, I have been deployed for the past six months in East Africa and prior to that twelve months in Afghanistan, missing the holidays and my daughter's birthday. 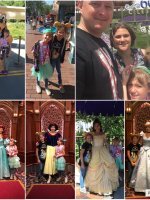 My wish is for a family trip to Disney World to spend some much needed time reuniting with my family, wife 8 year old daughter and 3 year old son. My wife not only cares for my 8 year old daughter and 3 year old son, but works as a kindergarten teacher taking care of 20 other children. This would be our first trip to Disney World and something to make our time reuniting that much more special. We hope to be able to spend 4 days at the park with park hopper passes. This would be an amazing trip and something my kids will enjoy and remember for years to come. Thank you for your time and consideration. 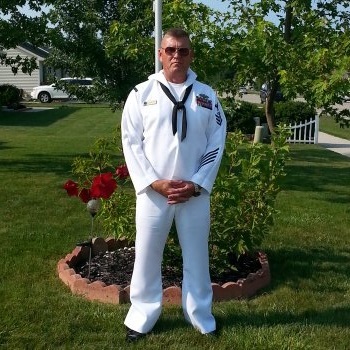 I am Richard Brier, A First Class Petty Officer in the USN Seabees. I am currently assigned as part of a Joint Task Force in Africa. My Military career has resulted in missing a lot of important days and events over the years. My Bride of 31 years has been great at dealing with this. What I would like to do is for us to be able to Celebrate our 31st Anniversary at Disney World in Orlando Fl. I have arrange R&R during this time frame. As like most of my deployments this one is going to be another long one. Looks like 18 plus months. I would like to make this time in our lives very special. We want to create new memories together at one of the most happiest palaces in the world. As our children are all grown we are going to create our own memories starting on this date. This would be so great for my Bride to be able to start our next 30 plus years together in this Magical World. Sorry it took so long to say thanks. After i returned I was sent back out were I had no access to my internet accounts. So here goes. I want to thank all those who donated to my wish. My Bride and I had a great time making new memories for our 31st anniversary. We spent four wonderful days park hopping. There was even one day that Kim wanted to go to Animal Kingdom. On the day that we did this I commented to her that I traveled 12K miles just to come back to Africa at Disney. On our Anniversary night we were at Epcot were we stayed to see the wonderful fireworks that they have there. On our way out the Magic Kingdom started there fireworks and we were able to see most of that as well from Epcot. As all the pics that we took I left at home I am unable at this time to provide a pic. However at a future date I will do this. 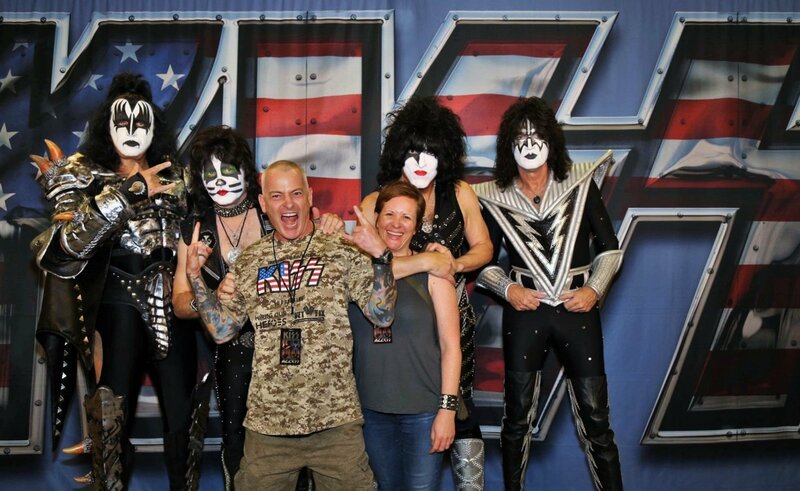 Again I want to thank VetTix and all who helped make our 31st Anniversary one that we will remember for a life time.